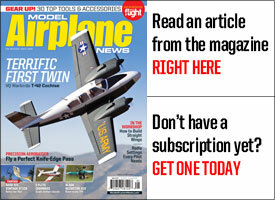 From the September issue of MAN, this new version of the ever popular Evans Volksplane is the work of RC model designer and contributor Pat Tritle. 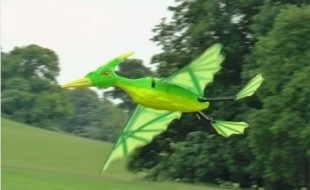 This easy to build park flyer has built up lightweight construction and features scale all-flying tail surfaces just like the real thing. Lasercut parts are available from author. 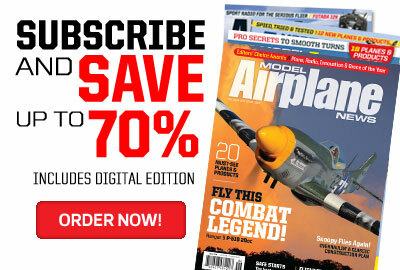 You can order your own plans from the Air Age Store site at: www.airagestore.com/evans-volksplane.html. Evans Volksplane K0714A by Pat Tritle. The Volksplane is very stable and a docile flyer. In spite of the tail skid, ground handling is good, and though not overly active, the rudder is effective and well balanced. Once in the air, the ailerons are smooth and effective, and exhibit little or no adverse yaw, so no rudder coordination was needed. The model will also turn pretty well on just rudder. It enters the turn fine, but recovery is a bit sluggish. And because of the long tail moment and extremely aft location of the elevator the model is also quite docile in pitch. The elevator pre-set should have you in the ballpark, but if a little trim is needed, set it up for straight and level flight at cruise power. Landings and touch and go’s are fun too. The model slows down nicely with a predictable stall. Then once the model is in ground effect the sink rate will drop off nicely, and though the model is not what I would call “a floater”, landings are soft with no tendency to bounce back into the air. Generally speaking, the Volksplane is very well behaved and really easy to fly, and might just do well as a first low wing scale model. Give it a try and see what you think. Wing Loading- 5.25 oz./ sq. ft. 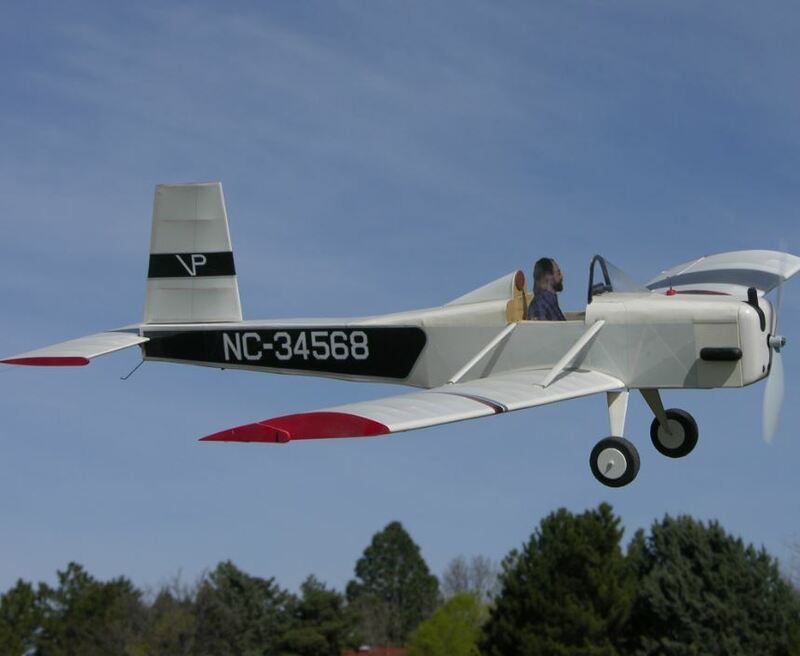 The Evens Volksplane, is a strut braced, single seat, low wing monoplane designed by Aeronautical Engineer William Evans and was first flown in 1968. 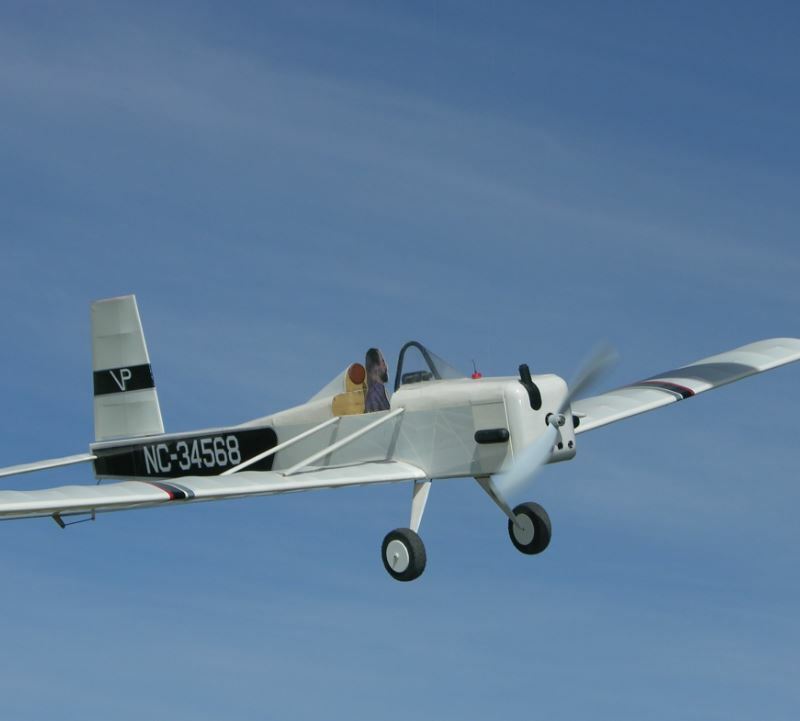 The Volksplane was designed around the 40 HP Volkswagen 4 Cylinder air cooled engine, with the basic idea being to provide a good safe design for the armature builder. 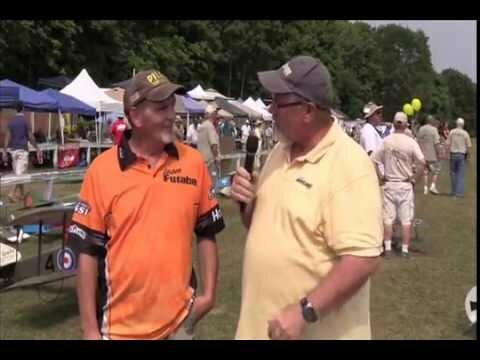 What came of it was a just a large model airplane that took the pilot along for the ride. 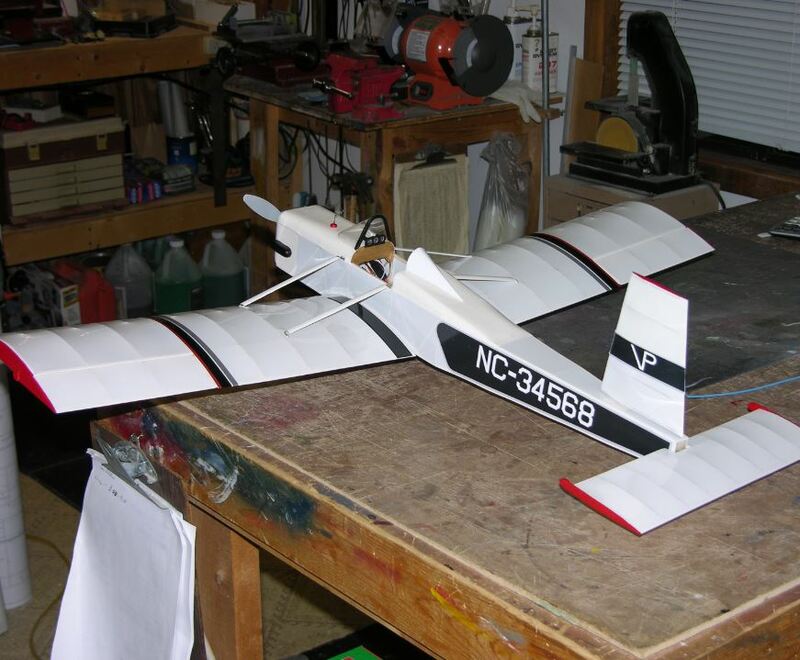 The Volksplane is of primarily all wood construction and is very easy to build. The fuselage is a slab sided affair skinned with marine grade plywood. The wings are built around Spruce Spars with Plywood ribs. In all, the Volksplane is a very simple machine. 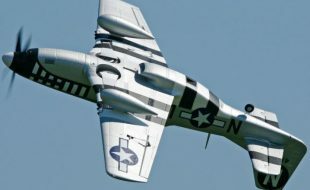 It’s a rather small airplane as well with a wing span of only 24 feet and is just 18 feet in length. With a cruising speed of 75 MPH the Volksplane won’t get you there too quickly, but with a stall speed of only 40 MPH, landings won’t create any unnecessary tension either. Empty weight is 440 lb. with a gross weight of 750 lb., and a climb rate of 400 feet/ minute. The model was designed as a simple 4 channel R/C Park Flyer, and like its full scale counterpart is also of wood construction. 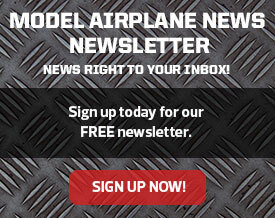 With a wingspan of 36-inches, the Volksplane works out to 1:8 scale. 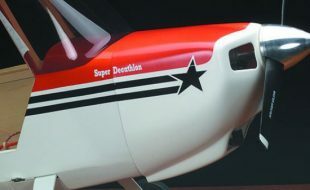 Also, as with the full scale Volksplane, the model features a fully articulating tail controls and scale aileron outline. 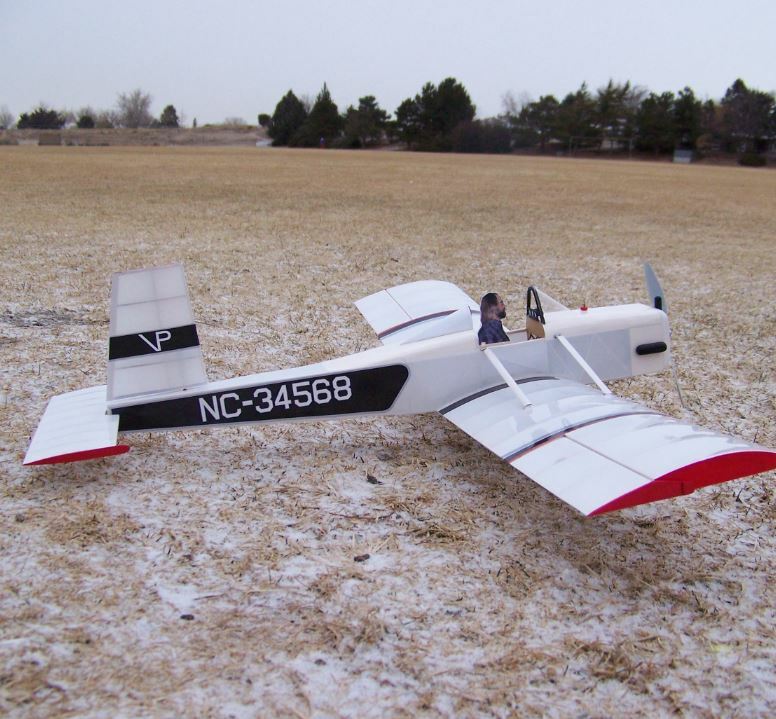 The design is simple, lightweight, and flies beautifully on a low cost electric power system, and anyone who has ever built an R/C model should have no trouble building the Volksplane. 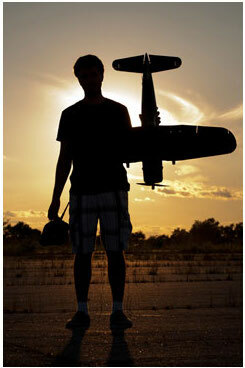 With a wing span of only 36 inches the Volksplane is not difficult to transport. However, for those who will need to take the model apart, the wings plug in and are retained by functional struts. No tools are required for either take-down or reassembly. Begin by building the Rear Spar Assembly. Align and glue A3 in place on A2 per the Detail Drawings – be sure to build a left and a right hand assembly. Pin SM1 in place over the plan, pin the Rear Spar Assembly in place over the plan and glue to SM1. Pin the Main Spar A1 in place, then dry assemble all of the Ribs onto the spars. Fit and glue the Leading and Trailing edges in place, then tack glue all points of contact. Add SM2 and SM3 to the Servo Mount Plate, followed by the A4 and A5 Lift Strut Mounts. The Ailerons are built in place on the Wing assembly. Begin by beveling the bottom of A6 using the rib drawing R6 for reference. Align and glue all of the Ribs and A7 in place to complete the basic assembly. Once the glue has dried thoroughly, remove the Wing Panels from the plan and sand to basic shape. Remove the Ailerons and sand to final shape, cut in the hinges and dry fit in place. Now you can assemble the AB1/AB2 Aileron Counter-balance panels, but don’t glue them in place until after the ailerons are covered. And finally, cut the 1/8-inch O. D. Brass Wing Retention Tubes to length and glue them in place followed by the 1/16-inch O. D. Aluminum Strut Retention Tubes. Lash them in place with sewing thread and secure with a drop of thin Cya. And finally, glue the servos into the trays with a drop of Silicone caulk and set aside to dry. We’ll begin with the rudder. Cut the 1/8-inch Sq. balsa Main Spar to length and mark each of the rib locations. Then slip the ribs into each of their respective locations, align and glue in place followed by the 1/8-inch Sq. balsa Leading Edge and the 1/16 X 1/4-inch balsa Trailing Edge and the Trim Tab RTT. Sand the Rudder Assembly to final shape. Cut the 1/8-inch O. D. Brass Tube Hinge to length fit it into the Rudder assembly and glue in place. Build up the control horn from a 1/8-inch Wheel Collar and the 1/32-inch ply wood Control horn. Note the orientation of the set screw when gluing the Control Horn in place. Start building the Elevator by building up Hinge Assembly B1, B2, B3 & B4 per the Assembly Detail Drawing. Cut the 1/8-inch Sq. balsa Main Spar and mark the Rib locations per the plan. Slip the Ribs onto the Spar in their respective locations followed by the Hinge Assembly. Cut the leading and trailing edge Shims from 1/8-inch Sq. 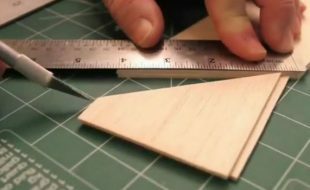 balsa and lay them in place over the plan. Pin the 1/8-inch Sq. balsa Leading Edge over the plan, then align and glue each of the Ribs in place against the Leading Edge. And finally, align and glue the 1/16 X 1/8-inch balsa Trailing Edge and C5 in place. When dry, remove the Elevator assembly from the board and sand to shape. Build up the Counter Balance assemblies from parts CW and CW1, but don’t glue them in place until after the model is covered. Begin with the Side Frames. Pin B1 in place over the plan and then build the frame around it using the wood sizes shown. When both frames are assembled, glue B3 in place on the inside of each frame making Left and Right Hand sides. 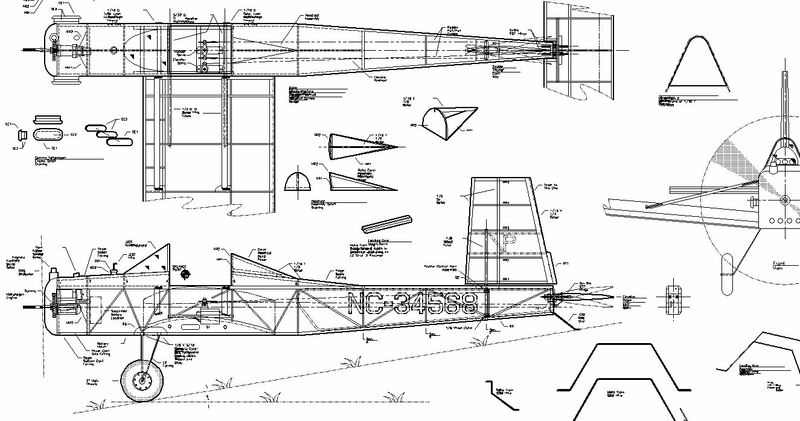 To join the sides, pin the landing gear mount beams over the framing plan followed by the side frames, formers 1 – 6 and the bottom cross pieces. Next, “crack” the upper and lower longerons at the location shown. Angle the sides back to Former 7, align and glue in place followed by the upper and lower cross pieces. And finally, align and glue the upper and lower B2 rudder hinge plates in place. Align these parts carefully to insure the rudder will stand up straight. 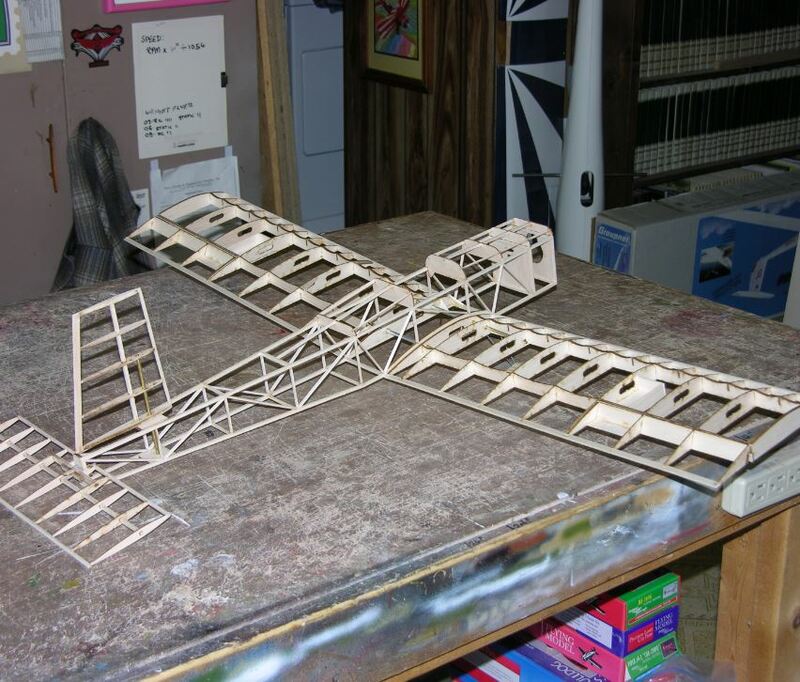 Once the glue dries, lift the frame from the board and add the 1/16 X 1/8-inch balsa Stringers. Bend the Landing Gear Struts from .046 Steel Wire. Tape the Struts in place on the Mount Beams and solder them together at the bottom. Now you can lash the gear to the beams with thread and secure with a drop of thin Cya. The Tail Skid is bent from .032-inch Steel Wire and glued in place on Former 7. Build up the Motor Mount Assembly per the Detail Drawing and glue in place on the firewall. No down thrust is needed, but 1.5 degrees of right thrust is built into the mount, so be sure to align the mount properly, and then mount the motor. Cut and fit the 5/32-inch O. D. Aluminum Wing Receiver Tubes into the fuselage and glue them in place. Build up the servo mounts as shown and mount the servos on the beams with the rudder servo on the centerline. 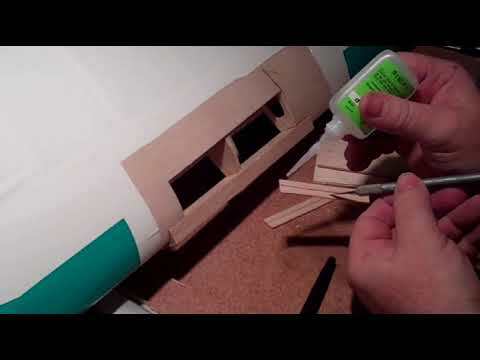 Build up the elevator push rod and rudder cables and dry fit into the fuselage. And finally, add the File Folder Paper fairings to the forward fuselage, turtle deck and head rest assembly to complete the fuselage assembly. There are several good choices for covering material available ranging from dope and tissue to iron-on films. However, the key to a good flying model is weight, so whichever one you choose, keep it light. I would also avoid using materials like Monocoat or Ultracoat as they are extremely heavy, and the excessive shrinkage will no doubt introduce some very undesirable twists and warps into the light structure. Before the cover is applied, hook up the Rx and test the system for proper operation while things are still easy to access should there be a problem. And when testing the motor for proper direction of rotation, do it with the prop removed to avoid any possibility of an unintended and possibly painful surprise. Then when everything is functioning properly, take the model apart and do one more detail sanding to remove any unwanted bumps and boo-boo’s and you’re ready to cover. 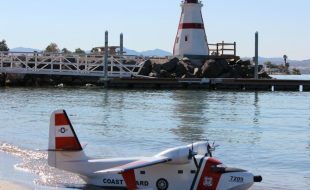 Apply the cover per the manufacturer’s recommendations and trim as desired, but don’t cover the bottom of the fuselage until after the rudder and elevator have been set up. Begin by setting up the rudder. Fit the control horn in place and tie off the pull/pull cables. Adjust the control horn and lower set collar so that the rudder moves freely with no access slop. Run the rudder cables up to the servo and adjust the tension and secure at the servo. Glue the elevator control horn in place, slip the pushrod into the horn and insert the rod into the fuselage through the slot in Former 7. Slip the hinges in place and secure with Canopy glue. 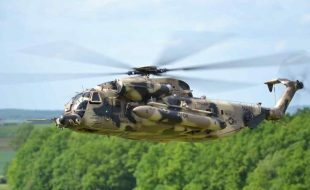 To adjust the pushrod, set the top longeron level with the building board, and adjust the elevator equal-distant from the work surface at the leading and trailing edges and secure the pushrod at the servo. That will set the stab incidence at zero degrees in relation to the datum line. The wing will be roughly ½ degree positive at the airfoil camber line as compared to the stab. The model might need a dab of trim once in flight, but this set up will get you started without any big surprises. 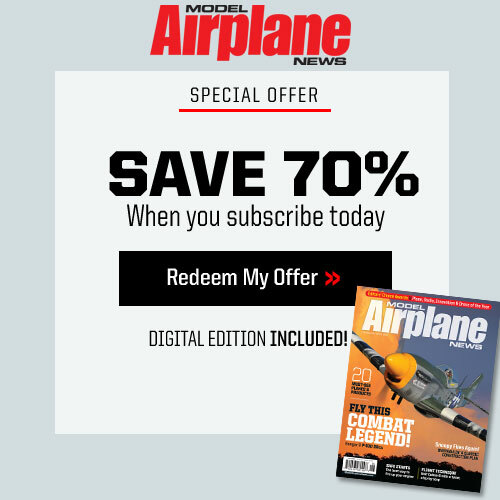 Now you can build up and install the elevator and aileron counter-balance assemblies, wheels, windshield, headrest, nose cowl, engine details to whatever level of detail is desired. Build up the battery hatch per the drawings on the plans and fit it into the opening at the location shown. Moving on to the wings, glue the aileron hinges in place with Canopy Glue. Bend the pushrods from .032-inch steel wire and fit them into the servo arm. Slip the control horns over the wire, align the ailerons in their neutral position and glue the horns in place. Fit the wings onto the fuselage and set up the struts. They are functional, so don’t leave them off. And with that, the Volksplane is basically finished. The only thing left is to set up the CG and control throws. I mounted the battery directly on the back side of the firewall using Velcro. Space is a bit limited, so use the appropriate size battery to your best advantage in setting up the C. G. Balance the model in the location shown on the plans, and set all of the control throws as shown. I also like to set up a 70% Dual Rate on the ailerons and elevator, just in case the model turns out to be a little on the spunky side. And with that, the Volksplane is finished and ready to fly. Where is the short kit available?